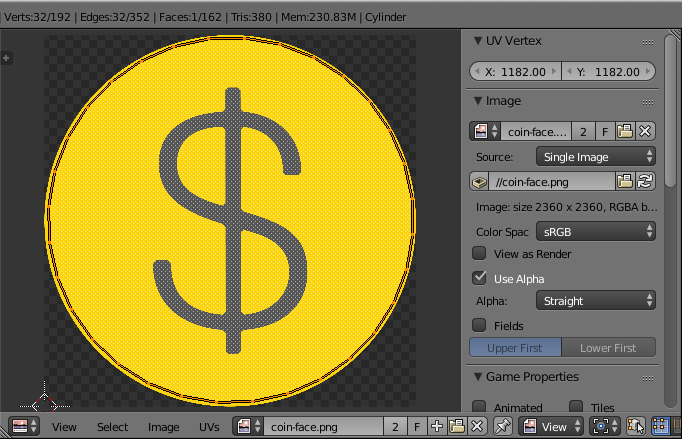 I am modeling a coin where heads and tails are the same image, and imported an image for the heads/tails faces. I created a new Emission material for the faces, then gave it an Image texture and assigned it. 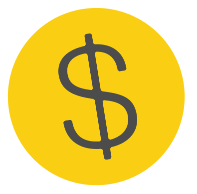 However, now that I would like to apply the same rotation / scaling values to the other face of the coin, I cannot find the rotation values that I just created anywhere. Do these values get applied automatically? Are they written in one of the panels? And what about the scaling info? I couldn't find a similar question. 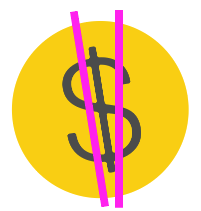 This is the opposite of what I want to do, since I am rotating in the Image editor for visual comfort, not in a Mapping node (therefore, even if I add Mapping Nodes, rotating the texture in the Image editor doesn't change the Mapping Nodes value). How to add a socket for mapping node? Can I make a custom node from a group and have that available in other projects? 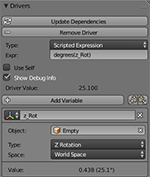 And here an optional Driver Setup to controll your rotation with an gameobject in the scene. Maby you could build yourselfe a GameObject that Visualizes your Rotation in the Viewport if you want to go further. If there are no other reasons you dont want to use a mapping node i would recomend the material view for visual comfort. The reason you dont get any rotation value in a panel as you get in Object-Mode is that there are no objects, just verts in the u-v-coordinate system those are represented as vector2 -> u and v. Its the same in Edit-Mode, there the vers are also just points as Vector3. Rotation can be done as an operation but to store those blender oughta be node-based and also produce temporary objects of specifiec groups of verts that had been rotated. I would recomend you to unwrap you upper and lower face together so they are exacly ontop each other and "rotated" the same and use a mapping node in Material View. Not the answer you're looking for? Browse other questions tagged uv uv-image-editor texture-coordinates or ask your own question. How to scale multiple UV face in proportion?